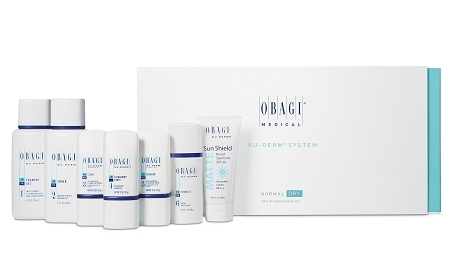 Fade dark spots with Obagi Nu Derm Fx Starter System. You don’t need harsh ingredients to achieve a brighter, more radiant complexion. 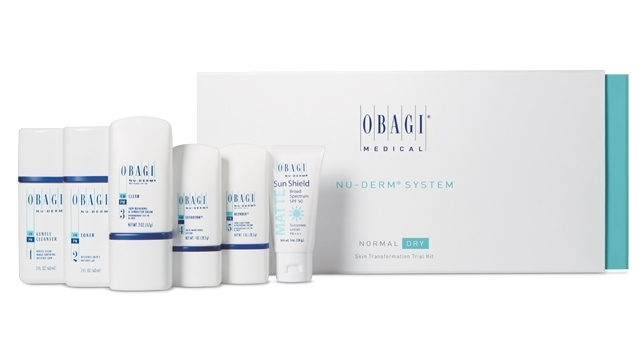 Obagi Nu Derm Fx Starter System for Normal to Dry Skin contains seven hydroquinone-free products to help improve the appearance of dark spots, discoloration, wrinkles, sun damage and other signs of aging. Each product included in this system helps enhance skin brightness and clarity, revealing a more youthful appearance. 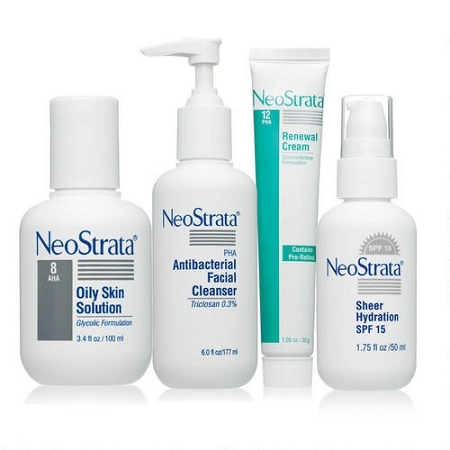 These formulas also hydrate and nourish dry skin for a softer, smoother texture. With continued use, this anti-aging system will help diminish discoloration, wrinkles, rough skin and more. 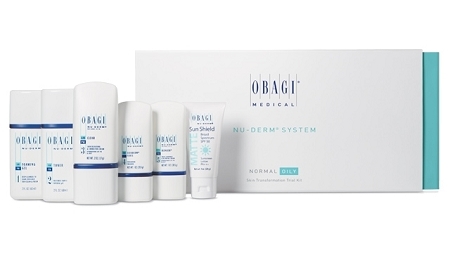 Reveal a more youthful appearance with Obagi Nu Derm Fx Starter System for Normal to Dry Skin. 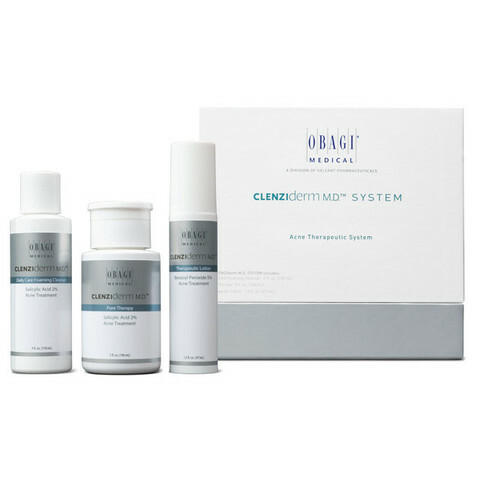 Obagi Nu Derm Fx Starter System for Normal to Dry Skin contains Nu-Derm Gentle Cleanser (6.7 oz), Nu-Derm Toner (6.7 oz), Nu-Derm Clear Fx (2 oz), Nu-Derm Exfoderm (2 oz), Nu-Derm Blender Fx (2 oz), Hydrate Facial Moisturizer (1.7 oz) and Sun Shield Matte Broad Spectrum SPF 50 (3 oz). 364 points will be rewarded to you when you buy this item.